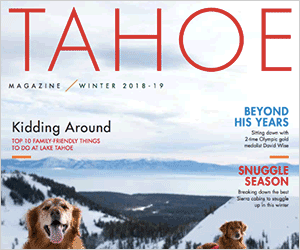 The Parasol Tahoe Community Foundation is matching donations dollar for dollar, up to $55,000 for the AlertTahoe Maintenance Endowment Fund. AlertTahoe is a system of networked cameras designed to protect the entire Tahoe region from catastrophic wildfires, earthquakes, and other natural disasters. These cameras sense smoke, catch wildfires and alert firefighters before the fires spread beyond a containable distance. The nine cameras currently in place have already stopped 55 fires in the Tahoe Basin. The Parasol Tahoe Community Foundation awarded $42,500 from its Community Fund to fund the last two cameras, completing the AlertTahoe camera system in the Tahoe Basin. In addition, Parasol has created an endowment fund to maintain these cameras into the future and invite the community to join in this effort today! Visit http://www.parasol.org today to donate or contact Megan Weiss at 775-298-0188 for more information.